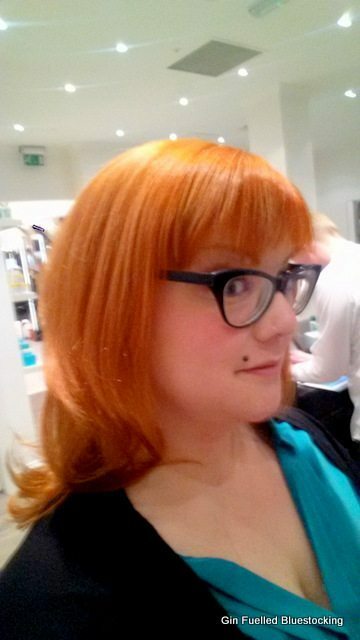 We received a lovely review and write-up from beauty blogger Gin Fuelled Bluestocking recently. Blogger Charlie visited our Selfridges salon for a cut and blow dry and was very complimentary about her experience in the salon, and the finished results. As Charlie herself admits in the piece, her hair was a little dry at the ends and had been exposed to lots of harsh home-colour products in the past. At the backwash we gave her hair a good shampoo and used a conditioning mask. 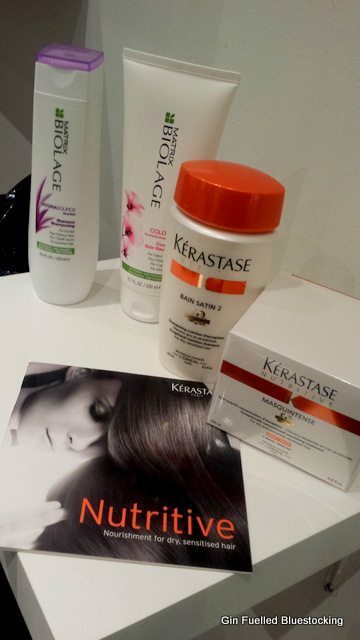 We then treated her to the wonderful Kérastase Fusio-Dose – a intensive treatment perfectly customised to each client. The clever product allows you to freshly mix ingredients to suit the specific needs of the hair. For Charlie we mixed ingredients for coloured hair with those for dry hair. After a good cut, Charlie left with shiny, well conditioned hair and a vibrant colour which she says still looks fabulous and healthy weeks after her visit! If you can relate to the Charlie’s experience and feel your hair is in need of some TLC, both our Selfridges and Peter Street hair stylists can de-stress and smooth your hair with a range of leading conditioning products. Call us with any questions or pop in for a free consultation. Our expert teams will have your hair looking and feeling great and back in tip-top condition. 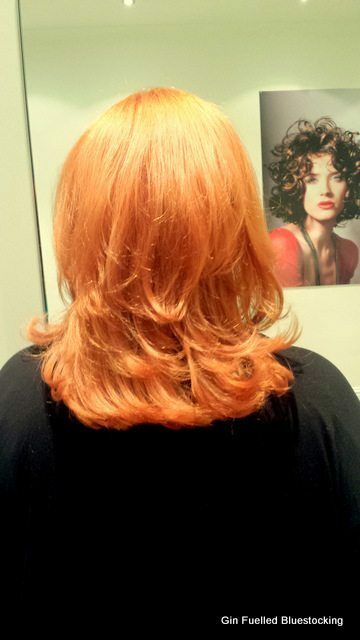 Call us on 0161 834 1422 (Peter Street) or 0161 838 0513 (Selfridges) or use our online booking form to make an appointment. Images used with kind permission of Gin Fuelled Bluestocking.